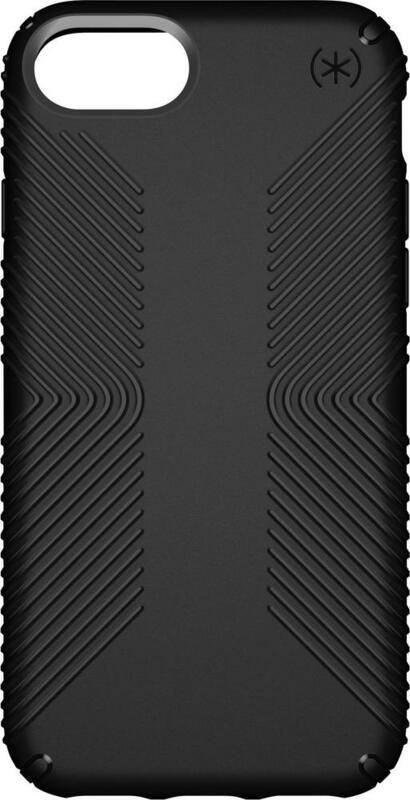 Shield your Apple iPhone 8 from drops with this Speck Presidio Grip case. Its two layers of protection offer impact resistance in falls up to 10 feet, and the angled rubber ridges offer a nonslip grip for added safety. This Speck Presidio Grip case has a raised bezel edge for keeping the touch screen off of surfaces. 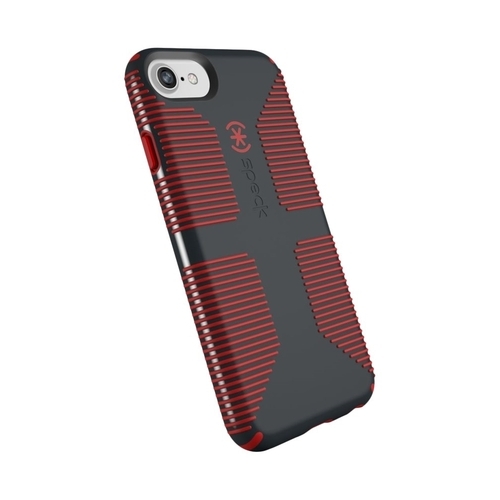 FeaturesDesigned for use with Apple iPhone 6, 6s, 7 and 8 To protect and complement your phone. Polycarbonate and IMPACTIUM exterior For stylish looks and durability.